Today, the Institute of Global Health Innovation (IGHI) will join 500+ organisations around the world to launch the first-ever Universal Health Coverage Day. This historic coalition will mark the anniversary of a landmark UN resolution urging all countries to provide universal access to healthcare without financial hardship. We believe that no one should fall into poverty because they get sick and need healthcare. Universal health coverage (UHC) is essential for making progress against challenges like HIV, cancer, Ebola, dementia, diabetes and mental health issues – and for creating a fairer, more resilient society. Universal healthcare coverage is one of the seven forums at 2015’s World Innovation Summit for Health (WISH), which takes place in Doha from 17-18th February and launched by the Qatar Foundation. The inaugural WISH Summit in 2013 was inspired by IGHI’s and the Qatar Foundation’s Global Health Policy Summit in London in 2012, which brought together over 500 ministers, policymakers, thinkers and business and health leaders from over 40 countries to discuss some of the most prevalent global health issues. Under the patronage of Her Highness Sheikha Moza bint Nasser, WISH brings together internationally renowned experts, who work with advisory groups to publish evidence-based reports on six to eight healthcare topics each year. Chaired by a team of experts drawn from academia, industry and policymaking, the WISH Forums look in depth at the challenges faced in each area – scanning the literature and interviewing experts in the field. The Forum reports present some of the very best innovations that have been shown to have real impact across the developed and developing world. Last year’s WISH reports can be found here. WISH’s Universal Health Coverage Forum, which will be chaired by Sir David Nicholson, the previous CEO of NHS England, will focus on creating a robust, yet accessible framework laying out the key questions that senior policymakers should consider when attempting the implementation of UHC. For more information about WISH, visit their website. 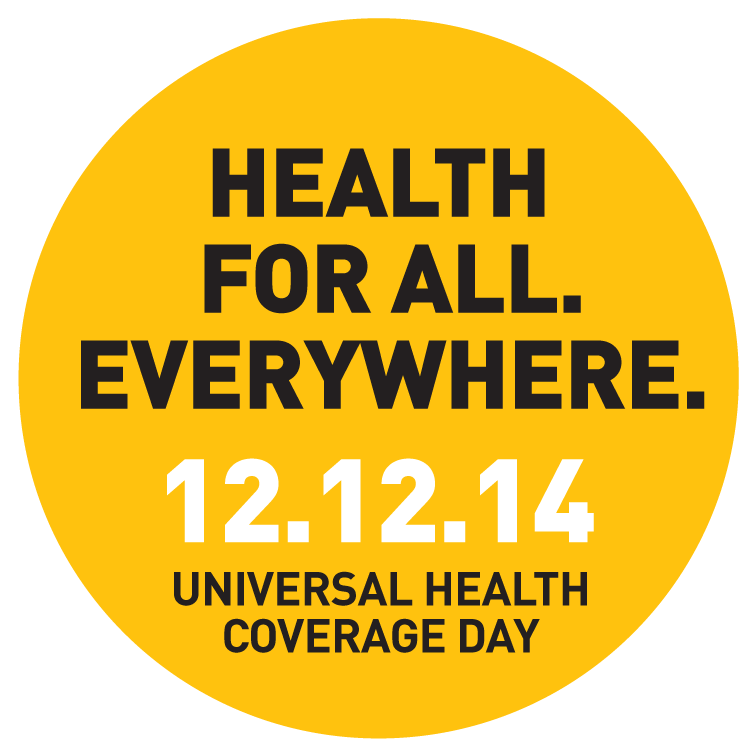 More than 80 countries have taken steps toward universal health coverage. Health for all is an attainable goal, so it’s time that it becomes a reality around the world. To learn more and show your support please visit www.UniversalHealthCoverageDay.org and follow Universal Health Coverage Day on Twitter and Facebook, making sure to use the hashtag #HealthForAll. Working together, we can make health for all a reality for all – today.